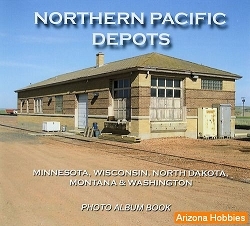 The photo and film video follows the first northern transcontinental railroad built to the Pacific Northwest from the Twin Cities to the rest of Minnesota, Wisconsin, North Dakota, Montana, Idaho and Washington through photographs, postcards and 8 MM film. 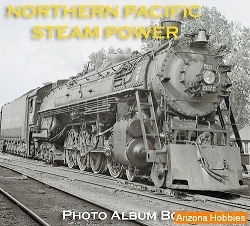 The narrated video includes 157 Northern Pacific depots, numerous steam and diesel locomotives, passenger trains/cars, yard & mainline scenes, a 1957 steam railfan excursion, freight cars, cabooses, MOW equipment, ore dock and memorabilia. The photographs and film are grouped by separate Northern Pacific routes with locations shown on maps. The DVD video, with 894 images and 22 minutes of 8 mm film, is 95 minutes long. 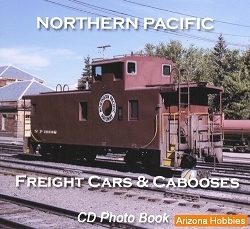 The accompanying CD-ROM has photographs of depots, freight cars, MOW equipment and memorabilia in a self-starting 'book,' along with 17 historic publications and documents. Prairie Works, DVD and CD-R movie and slide show.